This is an expensive, high-quality Italian furnishing of the 17th century. 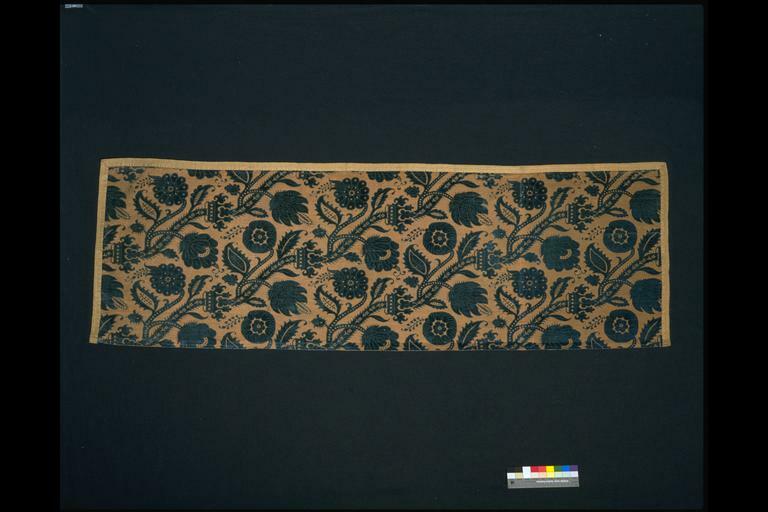 When acquired by the Museum from an Italian source, this velvet was thought to have been woven in the 16th century, far closer to the Victorian ideal of late medieval design. 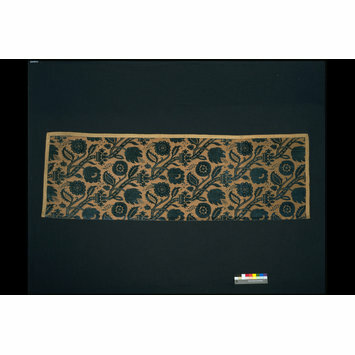 Twentieth-century research on the silk industry in Genoa, however, suggests that the velvet was made in that city and at a later date. 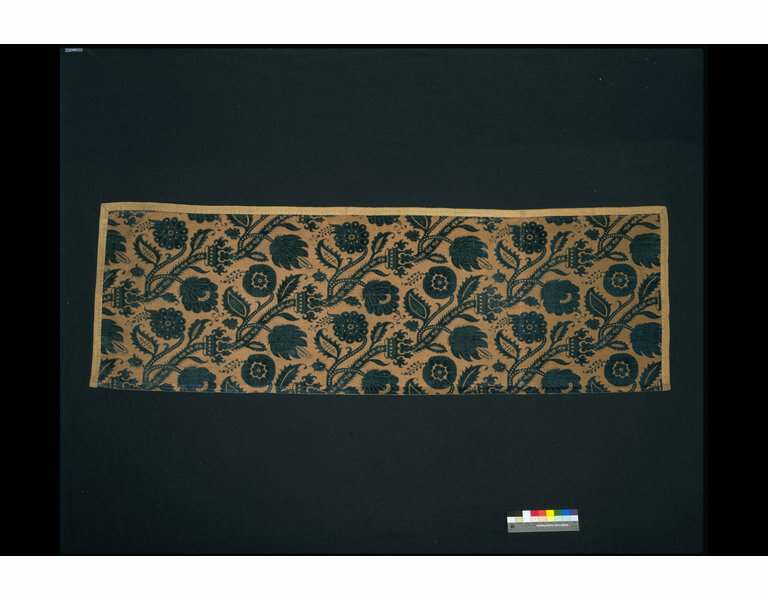 At the time of acquisition William Morris (1834-1896) was acting as a referee to the Museum on the acquisition of textiles. This pattern is very similar to a number of his designs made at the time. One pattern in particular, called 'Wandle', is clearly influenced by this textile.